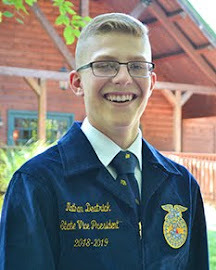 Raised in a Barn or in Downtown Indy...FFA has a place for you! An idiom, as defined by Oxford Dictionaries, is “a group of words established by usage as having a meaning not deducible from the individual words”. Some of the most popular expressions include “a blessing in disguise”, “actions speak louder than words”, “a herd of elephants”, and, my favorite, “raised in a barn”. As I was growing up, I often got asked “Were you raised in a barn?” as I left the front door to our house open, didn’t clean up my soda cans from across the living room, or tracked mud in from the barn. When I was a child, this was THE worst scolding I could receive; it made me feel like I was just like one of the heifers in the barn whom I had to tend to every day to feed, water, and clean up after. However, as I have grown older, I have learned to appreciate the phrase. You see, nowadays, people act like being raised in a barn is a bad thing. From the day I was brought home from the hospital all the way up until four months ago when I moved into the State Officer House, the barn was the place where I learned the most important lessons in life. I discovered that hard work has never killed anyone and is the only way to get where you want to be. I learned about love and compassion as I watched cows care for newborn calves. I gained an understanding that being raised in a barn is indeed NOT a bad thing at all; but, more importantly, that neither is being raised in the middle oftown or the suburbs of Indianapolis. Four months ago, when moving into the State Officer House, one of the biggest things I was worried about was meshing seven very different backgrounds. When we got elected, we became aware that only two of us come from production agriculture backgrounds, three from rural communities, and two from suburban areas. At first, I questioned how in the world it would be possible that such a diverse team could work well together to best serve Indiana FFA. Four months later, our team’s variety is the thing I take the most pride in. If you were to ask me to describe my team, I would reply “The perfect example at what the National FFA Organization is.” It’s diverse. It’s different. It’s a variety of backgrounds coming together for one common cause – service to others. No, we weren’t all born in a barn or raised on a farm. And THAT’S exactly what I love. 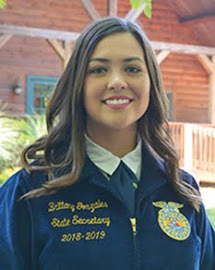 My team represents the diversity of the agricultural industry and shows that no matter what background you come from, you can still serve the organization. Throughout the month of September, my team and I had the opportunity to travel the state to visit with many chapters and FFA members. Covering all twelve districts and over 40 chapters each, we had the opportunity to share our backgrounds, but, more importantly, learn about others’ as well. 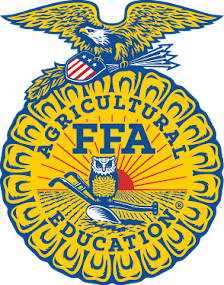 In Indiana, we have just under 12,000 FFA members; nationally, membership has hit its peak at 649,355 students. To me, this isn’t just a number. To me, this represents 649,355 different experiences that have led to where each member is today. 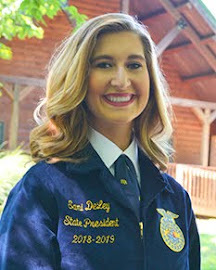 The National FFA Organization welcomes diversity and includes everyone – no matter the race, ethnicity, gender, age, socioeconomic status, thoughts, or backgrounds. 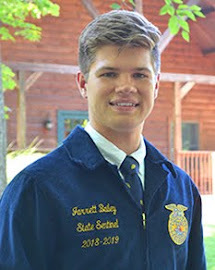 At one time, the blue jacket represented future farmers. But today, it represents those raised in barns as well as those who have never stepped foot onto a farm. I am proud to be from such a diverse and inclusive organization…are you? While I’m driving along the straight plains of Northern Indiana, the crazy traffic of Indianapolis, and the curvy, hilly Southern Indiana roads there’s always a song playing along with every mile driven. Some of these songs make you realize how grateful you should be to be where you’re at in life or others remind you of how important someone is to you. Either way, when we hear these songs we deal with a ball of emotions that overcome us. We deal with these crazy emotions by crying sad or happy tears, belting every lyric (or making them up as you go), or by silently taking in every word sang. Each song that builds up the emotions is just as important as every mile driven across the beautiful state of Indiana. For some reason, these songs mean more when I’m cruising along these beautiful roads with the windows down and my teammates nearby. Of all the songs that have played in the background of conversations or filled the silent moments, there’s always one song that speaks to me every time I listen to it. If you’re close to me, I bet you’ve already guessed the song I’m talking about… Love Like Crazy by Lee Brice. Since the moment I’ve listened to these lyrics years ago, I’ve tried to live my life by this song but more specifically, by two lines. 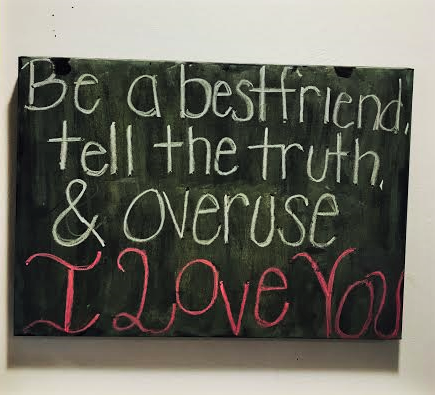 The first line of lyrics are “be a best friend, tell the truth, and overuse ‘I love you.’” If you walked up to my desk in the state officer house office, you’d see these lyrics written on a chalkboard, hanging up high for everyone to embrace. These lyrics not only remind me to be the kind of friend I’d want, be truthful just as everyone deserves, or remind people I love them, but to also be a genuine and humble person. Whether I hear these lyrics randomly on the radio while enjoying Indiana roads, or play the song in the office, it always serves as a friendly reminder to be the kind of person 10-year-old Sneha would look up to. The chalkboard above my desk that serves as a reminder. The second line of lyrics that have left a mark on me are “go to work, do your best, don’t outsmart your common sense.” Reread those lyrics and let them sink in for a moment. Go to work. Do your best. Don’t outsmart your common sense. Working day after day and taking on new tasks can be not only challenging but defeating when you don’t see immediate results. These lyrics remind me that every second of hard work and perseverance will pay off. Even if this song doesn’t speak to you, allow these lyrics to remind you that the feeling of defeat will turn into a large impact if you continue to work hard, do your best, and not outsmart yourself. Next time you’re driving along, listen to the music playing a little more closely. One song can spark a feeling of sadness, happiness, or serve as a reminder to be the person a younger version of yourself would look up to. For each mile driven, each verse playing can make a difference. What song speaks to you? 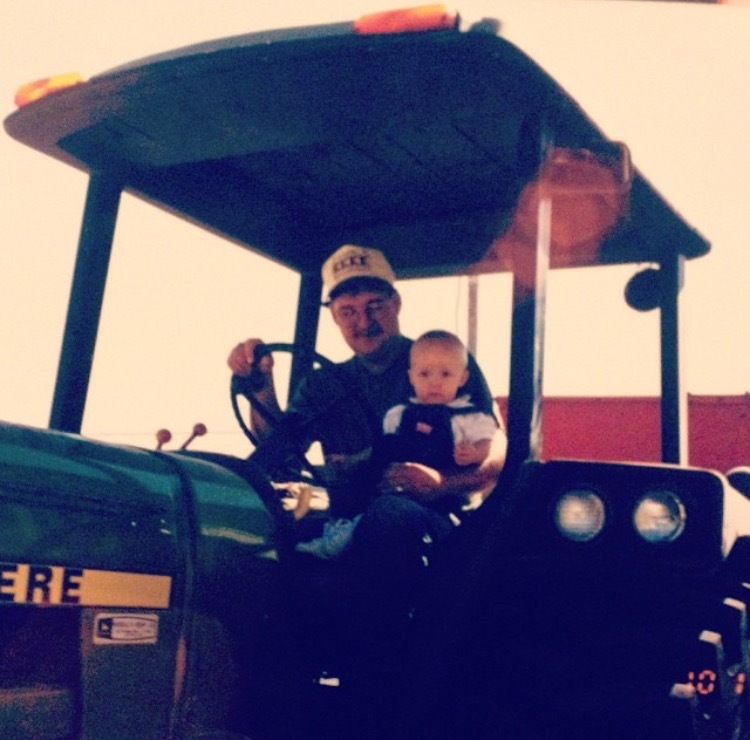 When I think of harvest time, I quickly remember great memories harvesting with my family. Whether it was falling asleep in the combine, making food for the boys in the field with my Momma, writing an essay or completing homework while riding in the semi or driving the tractor and auger cart – these are some of the best times in my childhood. Falling asleep to the hum of the grain dryer, the familiar smells of harvest and the many hours spent in a tractor cab are harvest memories that make me proud to be the next generation of our family farm. A harvest sunset that I captured last fall. Harvest is always an exciting time for our family to be able to bring in the crops that we had toiled over all year. As fall continues on, it is important that we thank all who spend countless hours providing for us. 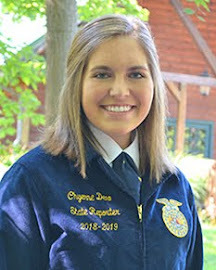 Although we may not all have a personal connection to the agriculture industry; we all need the food, fuel and fiber that the harvest brings. The next time you are behind farm equipment on the road or pass farmer’s working in the field – remember to be thankful for everything that they do to provide for you and me. As FFA members, we all can relate to harvest season. 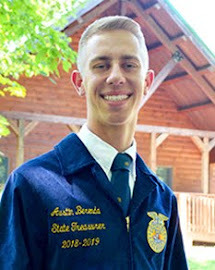 Similar to how farmers care tirelessly for their crops throughout the year and continue to work hard as they collect their final results – FFA members shall strive to have the dedication and passion of a farmer as they compete in various contests and community service activities. 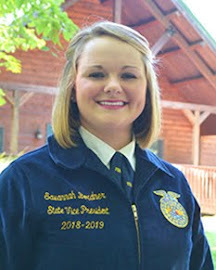 Farmers innovate and prepare in order to achieve the highest yields, just as FFA members should replicate these characteristics to reach their personal goals. They ‘live to serve’ as farmers provide for others and FFA members embrace the FFA Motto through serving others and our communities. Your seasons of harvest may not always be easy nor necessarily yield as you had hoped, but it is crucial that we embrace the persistence and diligence of a farmer and adapt to improve for the next year. No matter your background, these qualities of persistence and hard work are lessons that everyone could use in their everyday lives. I am grateful for my family and the time we spend together working on the farm. Whether we have a direct link to agriculture or not, have been an FFA member for 6 years or none, we should admire these characteristics that farmers exhibit. These qualities shine through as harvest begins and continues for many Indiana farmers. 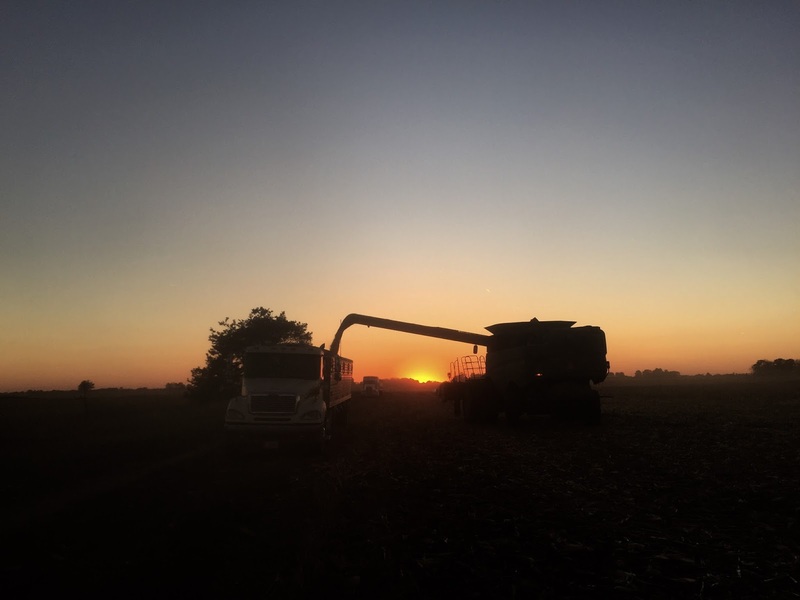 I will always be grateful for my ‘harvest seasons’ – on the family farm and throughout my FFA Career and encourage you to thank a farmer for not only the food, fiber and fuel they provide but the positive examples that they represent. Praying for a safe and bountiful harvest for all!